The foundations of scientific materialism are in the process of crumbling. In Signature in the Cell, philosopher of science Stephen C. Meyer shows how the digital code in DNA points powerfully to a designing intelligence behind the origin of life. The book will be published on June 23 by HarperOne. Unlike previous arguments for intelligent design, Signature in the Cell presents a radical and comprehensive new case, revealing the evidence not merely of individual features of biological complexity but rather of a fundamental constituent of the universe: information. That evidence has been mounting exponentially in recent years, known to scientists in specialized fields but largely hidden from public view. A Cambridge University-trained theorist and researcher, director of the Discovery Institute’s Center for Science and Culture, Dr. Meyer is the first to bring the relevant data together into a powerful demonstration of the intelligence that stands outside nature and directs the path life has taken. The universe is comprised of matter, energy, and the information that gives order to matter and energy, thereby bringing life into being. In the cell, information is carried by DNA, which functions like a software program. The signature in the cell is that of the master programmer of life. In his theory of evolution, Charles Darwin never sought to unravel the mystery of where biological information comes from. For him, the origins of life remained shrouded in impenetrable obscurity. While the digital code in DNA first came to light in the 1950s, it wasn’t until later that scientists began to sense the implications behind the exquisitely complex technical system for processing and storing information in the cell. The cell does what any advanced computer operating system can do but with almost inconceivably greater suppleness and efficiency. Drawing on data from many scientific fields, Stephen Meyer formulates a rigorous argument employing the same method of inferential reasoning that Darwin used. In a thrilling narrative with elements of a detective story as well as a personal quest for truth, Meyer illuminates the mystery that surrounds the origins of DNA. He demonstrates that previous scientific efforts to explain the origins of biological information have all failed, and argues convincingly for intelligent design as the best explanation of life’s beginning. In final chapters, he defends ID theory against a range of objections and shows how intelligent design offers fruitful approaches for future scientific research. Appearing in this year of Darwin anniversaries—Darwin’s 200th birthday and the 150th anniversary of the publication of his Origin of Species—Signature in the Cell could only have been written now that the data of biology’s dawning information age has started to come in. Meyer shares with readers the excitement of the most recent discoveries, as the digital technology at work in the cell has been progressively revealed. The operating system embedded in the genome includes nested coding, digital processing, distributive retrieval and storage systems. It is very extraordinary—the terminology is all recognizable from computer science. The appearance of Meyer’s book is timely in two other ways. First, bestselling atheist writers like biologist Richard Dawkins have insisted that because Darwin buried the traditional argument for design in nature, religious belief has been shown to be irrational in our modern scientific age. Meyer reveals that, on the contrary, it is precisely our modern scientific age that is in the process of burying materialist theories of life’s development. Second, since a federal judge in Dover, Pennsylvania, ruled in 2005 that intelligent design may not rightfully claim the designation of “science,” Judge John E. Jones has become the hero of Darwinian activists and their supporters in academia and the media. The Dover decision has been hailed as the death knell of intelligent design. Hardly so! Speaking from the more relevant perspective of the philosophy of science, Meyer responds that federal judges were never given the job of defining what is scientific and what is not. As a philosopher and a scientist himself, having worked in the field of geophysics for Atlantic Richfield, Meyer is able to step back from the fray of competing views about Darwinian theory and offer a searching, compelling investigation of life’s beginning. I first read into the ID movement not to long ago, they have a lot of good ideas and just some I am a bit weary of. I don't think God of the gaps type arguments are ever a good idea, history tells us this many times, a famous example would be newton and Leibniz's debate. I have been listening to a whole lot of lectures on the Faraday institute's website, a community of religous minded scientist, almost all of the stuff I've listens to on there the majority is Christian. But they get the name from Michael Farady of course, one of my favorites read his biography if you haven't. I don't know if intelligent design is the right phrasing though, I see God more so upholding or sustaining creation, without him none of it would be possible. But I think to disregard science(or any way of looking at things, math, philosophy, art, history to name some others) is not right, Jesus himself said among many other things, we should love God with all our mind, and if all truth is his truth we should pursue it in any direction it may take us. Isn't it incredible that the Romans thought of a way to kill people by nailing some bits of wood together which then bore a passing resemblance to a diagrammatic representation of a protein molecule. ^I'll have to agree with you on this one... the whole laminin thing doesn't really do much for me. I also think too much has been made of laminin, but that in no way diminishes my sense of wonder at the complexity and detail of our God-created bodies. The cross of Jesus looks nothing like the laminin protien. 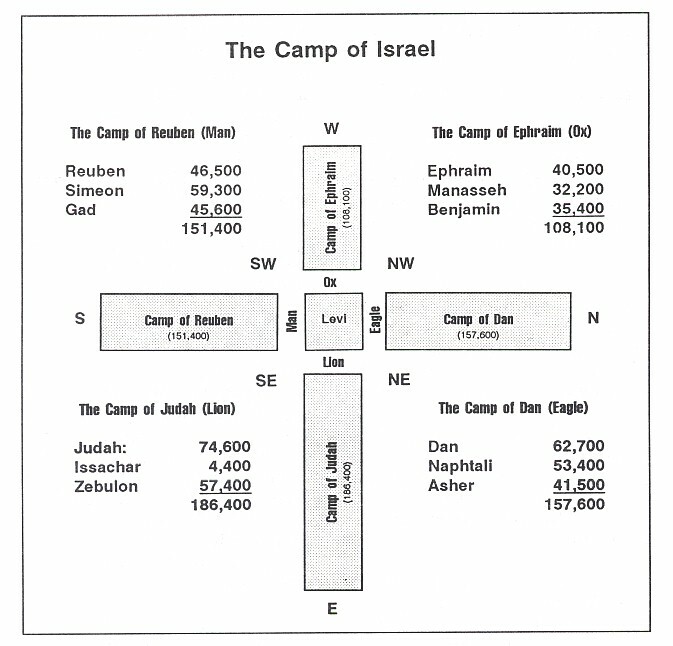 But, the cross formed by the tribes, there placement as ordered by God, living around the Tabernacle seems a better match, even metaphorically. Last edited by Lemuel : 01-20-2013 at 04:46 PM. The cell does what any advanced computer operating system can do but with almost inconceivably greater suppleness and efficiency. I'm sorry, but it bothers when people haphazardly compare organic systems to computer systems, as though it proves anything. They both take in energy, perform a process, and produce some kind of result. That's really where the comparison ends. DNA and RNA interact with protein molecules in their proximity, which float by them in the same random way leaves float on a lake. The outcome of this interaction is astronomically varied, depending on all sorts of conditions. Silicon transistors in a computer are charged with an electric current that we intentionally feed into it. No molecules, no random liquid movement, and only two possible outcomes: on and off. Until a cell can download and play an episode of The Simpsons, monitor traffic light systems for a city, or do my taxes, then the quoted sentence is simply not true. It is an all-too-common misrepresentation of what biology is about. Although I agree with you, and understand your point... I could say that "we" (not computers") do taxes and all that other 'fun' stuff. So in a sense, biology does do those things.